When it comes to business, you’re either first or you’re last. Our Toowoomba-based SEO firm helps our clients improve website visits through our effective SEO techniques. Discover whether an SEO strategy is even for you with our free website optimisation report. In the report, we outline what errors on your website are holding you back from the top position in Google. An important part of any SEO campaign is to figure out what your potential clients are typing when they search for your services. We identify these search terms and phrases in order to add them into your website copy, improving your search ranking for that search term. If you want to dominate your competition, you need to know what they are doing. The competitor research phase is crucial to anyone who takes their digital marketing strategy seriously. We use this information to strengthen your SEO campaign. Discover everything that is not working from a search engine optimisation perspective, complete with recommendations for what will be changed to improve your search ranking. We use our SEO specialists to analyse your site and create a comprehensive report. There is a right way to build links back to your website and a wrong way to build links. Link building strategies that encourage visitors by providing relevant, high quality content is the right way to build links and the method that we use. For your ranking in Google to improve, you need a solid SEO strategy. Further, this plan needs to be implemented and measured to ensure progress is being made in the right direction. Our SEO experts have designed and implemented countless successful strategies. Based on the comprehensive SEO audit report, we optimise your website for Google and other search engines. We continually monitor the effects of these changes and make improvements over time to keep ahead of your competition. Data is part of our core business. 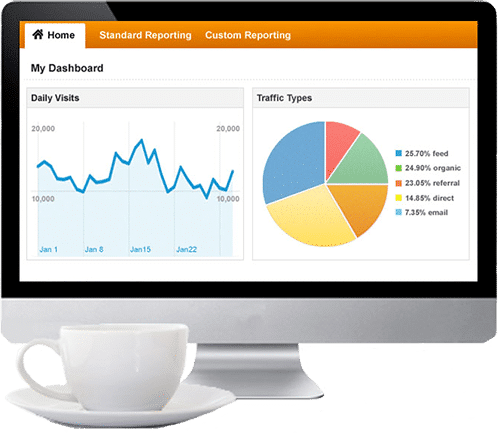 We value transparency and SEO reporting is one of the ways that we ensure adherence to this value. Through web analytics, we gain a greater understanding of the customer journey, which helps us strengthen key inbound marketing elements. Great quality content is a major contributing factor to improved search ranking. We develop high quality content that conveys your message in your voice and personality. This content is then utilised as either a blog post, a guest post or a citation to increase traffic to your site. Search engine optimisation (SEO) is the process of affecting the online visibility of a website in Google and other search engines through small, cumulative changes. It is the best way to drive traffic to your website from Google, even outperforming Google Ads. Not being found in Google is costing you money every day through lost business. The fact is, if you aren’t showing up when your clients are searching, your competitors in Toowoomba will.